Located in the heart of Lorne, this motel is within a 10-minute walk of Lorne Surf Life Saving Club and Lorne Sea Baths. Live Wire Park and Teddy's Lookout are also within 1 mi (2 km). 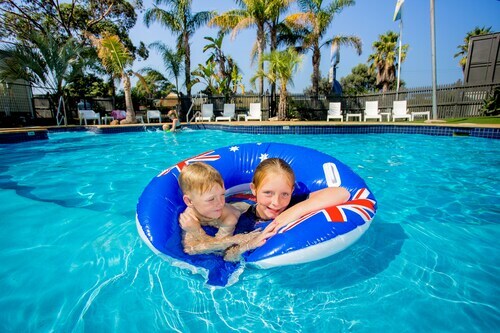 Situated by the ocean, this campground is within a 15-minute walk of Lorne Sea Baths and Lorne Surf Life Saving Club. Live Wire Park and Lorne Country Club are also within 1 mi (2 km). 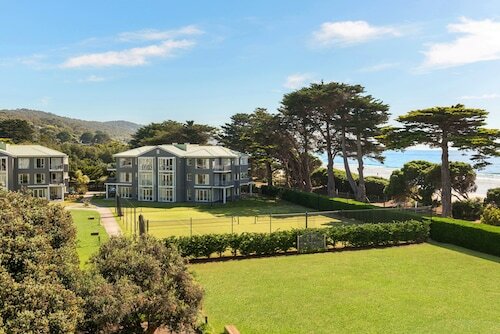 Situated by the sea, this hotel is within 1 mi (2 km) of Lorne Surf Life Saving Club, Teddy's Lookout, and Lorne Sea Baths. Live Wire Park and Lorne Country Club are also within 3 mi (5 km). 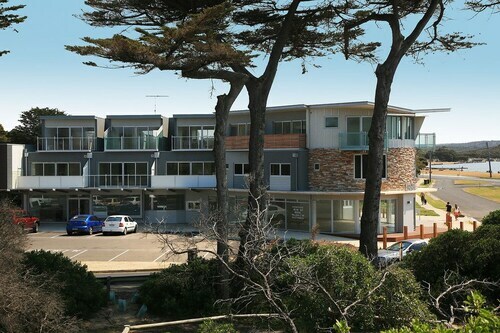 Situated by the sea, this luxury apartment building is within 3 mi (5 km) of Front Beach, Torquay Central Farmers Market, and Surf World Museum. Torquay Visitor Information Centre and Torquay Golf Club are also within 3 mi (5 km). Planning a trip to Surf Coast? There are just 4 hotels within 5 kilometres of the town centre. You should check out the Four Kings Apartments and Lightkeepers Inn Motel. All these places are close to the main hustle and bustle. 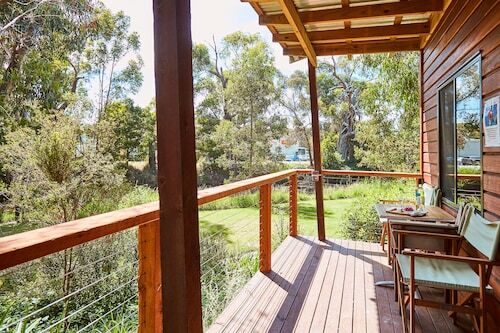 If you don't mind setting up shop 15 kilometres outside of the city center, explore the neighbourhood of Bellbrae. 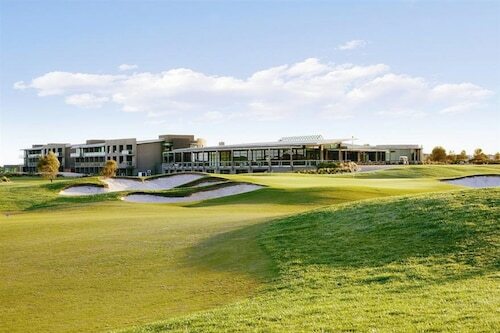 This area has 4 available hotels, including Bellbrae Country Club Surf Coast and Bellbrae Harvest. For some alternatives, try the Retreats Victoria and the Allenvale. They are 25 kilometres and 19 kilometres respectively from the main center. If these two aren't the best fit, you can try the Cumberland Lorne Resort or the Mantra Lorne. The close by localities of Lorne and Torquay are definitely worth seeing. 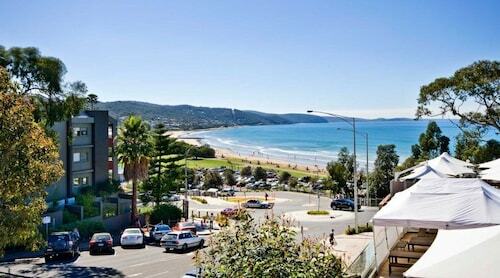 Lorne is 18 kilometres to the southwest of Surf Coast, while Torquay is 20 kilometres to the northeast. 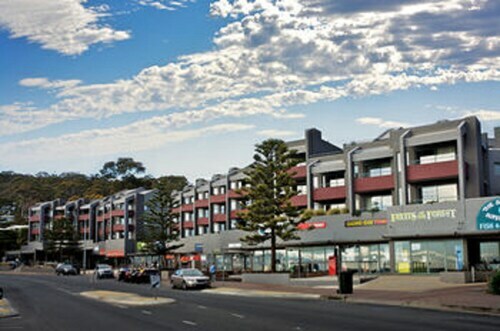 Lorne hotels are the Lorne Bay View Motel and Lorne Coachman Inn. Torquay choices include the Peppers The Sands Resort and Whitesbeach Guesthouse. Why not spend an afternoon hanging out with fellow sports enthusiasts at a local game? Kardinia Park is found to the northeast of Surf Coast. The Quest Geelong and the Comfort Inn Eastern Sands are near the action. If you're flying into or out of Tullamarine Airport and want to stay nearby, try the PARKROYAL Melbourne Airport or the Holiday Inn Melbourne Airport. 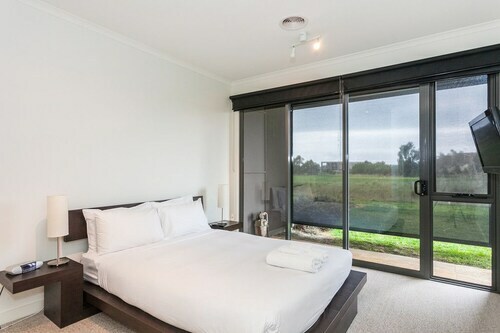 How Much is a Hotel Room in Surf Coast? Hotels in Surf Coast start at AU$103 per night. Prices and availability subject to change. Additional terms may apply. I liked that there’s free parking and close to Foodworks for groceries and nice pizza places for dinner as well as beach close to the park.